In the War Between. : VICE MEETS: Issei Sagawa. An interview with a Cannibal. VICE MEETS: Issei Sagawa. An interview with a Cannibal. 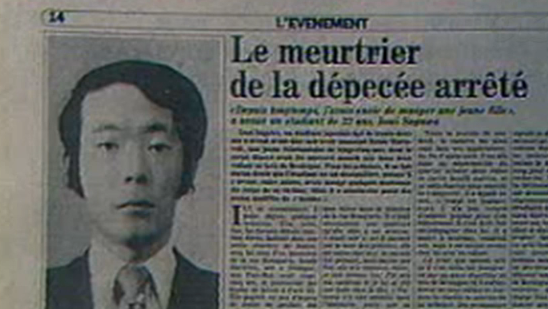 On the afternoon of June 13, 1981, a Japanese man named Issei Sagawa walked to the Bois de Boulogne, a park on the outskirts of Paris, carrying two suitcases. The contents of those suitcases, to the lament of a nearby jogger, was the dismembered body of a fellow student – a Dutch woman named Renée Hartevelt, whom Sagawa had shot three days prior and had spent the days since eating various parts of her body. He was soon arrested. According to reports, Issei uttered, “I killed her to eat her flesh,” when they raided his home, whereupon they found bits of Renée still in his fridge. Sagawa was declared insane and unfit for trial and was institutionalized in Paris. On August 12, 1986, Sagawa checked himself out of Tokyo’s Matsuzawa Psychiatric hospital, and has been a free man ever since. This is where the real story begins. VBS met up with him to find out what he’s been up to in the 30 years since.